The perfect alternative to sugary holiday drinks, but with all the flavor, this sparkling sangria adds fresh turmeric and ginger for an anti-inflammatory kick you’ll sure to appreciate after your second slice of pie. Combine sugar, water and allspice in a small saucepan over medium heat and let simmer for 10 minutes. Remove from heat and let steep for another 10 minutes. Strain through a double layer of cheesecloth into a clean glass jar. Cover and keep refrigerated for up to 2 weeks. Try more of our entertaining tips and recipes: Rosemary Maple-Roasted Vegetable Salad, 5 Tips to Making the Perfect Holiday Crudite, The Ultimate Guide to Hosting Friendsgiving, and 5 Mindful Ideas for Setting the Mood for Your Holiday Party. 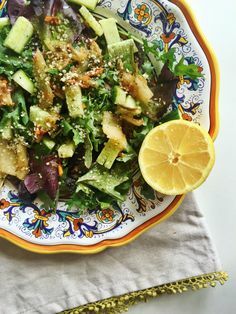 JULES ARON is the 4x best-selling author of Zen and Tonic: Savory and Fresh Cocktails for the Enlightened Drinker, Vegan Cheese, Simple, Delicious, Plant-Based Cheese Recipes, Nourish and Glow and Fresh and Pure. She holds a Masters degree from New York University, is a Certified Yoga, Qigong & Traditional Chinese Medicine Practitioner, and is a Certified Health & Nutrition Coach from The Institute of Integrative Nutrition. Connect: JulesAron.com, Instagram, Facebook, and Pinterest.